The MPH in Occupational and Environmental Health is a full time postgraduate degree program, aimed at training students to become proficient occupational and environmental health professionals with capacities in recognition, prevention and management of occupational and environmental health risks. The program will have a dual focus on laboratory and field based methods to allow application of their skills in academic, industrial, governmental and other professional organizational settings. The course also specifically aims at enhancing research and analytical skills to enable design and conduct of sophisticated, multidisciplinary research studies in the area of occupational and environmental health. 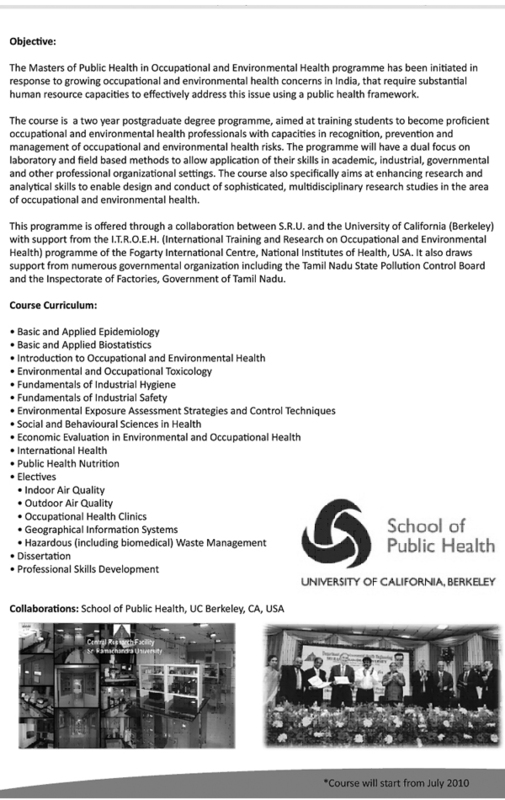 This program is offered through collaboration between SRMC and the University of California (Berkeley) with support from the International Training and Research on Occupational and Environmental Health (I.T.R.O.E.H.) program of the Fogarty International Centre, NIH, USA and additional expert support from GTZ-Centre for International Migration (GTZ-CIM).The degree will be awarded by Sri Ramachandra Institute & of Higher Education & Research. The course has been designed as a two-year degree program and starts in July of every academic year. 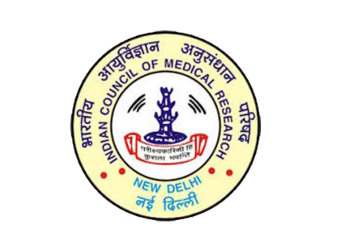 Candidates for admission to the Master of Public Health course in Occupational & Environmental Health should have passed MBBS, BDS, B.TECH (Chemical Engineering), BE (Civil or Public Health Engineering) M.Sc (Chemistry, Zoology, Botany, Environmental Sciences) Degree awarded by any recognized University. *Out of ten seats 3 seats will be allotted to candidates sponsored by industry/government. The tuition fee per academic year is Rs. 1,25,000/-. 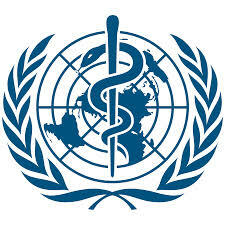 In International Bodies (WHO, USEPA, UNICEF, UNESCO, UNEP), Public Sector, Public Health Services, NGOs, Academic Institutions, Industries, etc.